Slow cookers have been around for a long time, and they've gone through a lot of changes over the years. 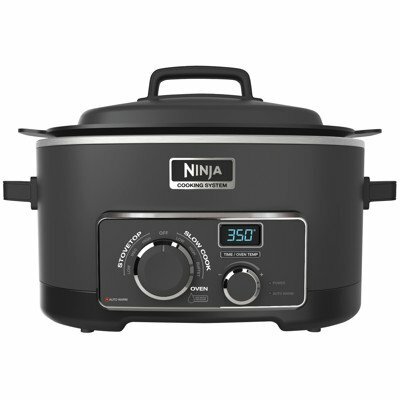 The Ninja Cooking System isn't your mom's slow cooker - not only does it have low and high slow cooker settings, plus a "buffet" setting for keeping food warm, but it also has three "stovetop" settings for searing or frying, and it also has "oven" temperature settings from 250 to 425 degrees. Yup, the instructions say you can use it like an oven. We'll see about that, won't we? The first thing I attempted was cheesecake, using a recipe that came with the unit. Perfect little 4-inch cheesecakes were the result - just like cooking in a waterbath in the oven. I decided to try a few roasting recipes. First, I tried a chicken. I didn't get the typical brown, crisp skin. but the chicken itself was moist and very juicy. The instructions had a workaround for the fact that meats don't brown like they would in a large oven - searing the meat before or after cooking - but the shape of a chicken isn't particularly conducive for that treatment. While I got parts of the chicken browned, other parts were pallid. So, if you're a big fan of poultry skin or you need beautiful presentation of a whole bird, this might not be the best option. If all you want is the meat, then this works just fine. I had much better results with a leg of lamb. I browned the meat first, then roasted it on the Ninja's rack with no extra liquid. The result was the same as if I roasted it in the oven, and the drippings were ready for making gravy. 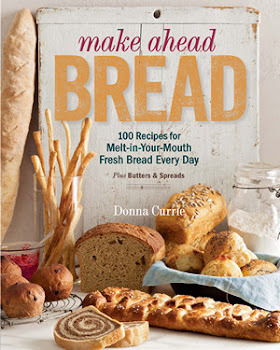 The unit included a few recipes for baked goods, and the theory is that you can use less fat because the steam contained in the oven will keep the baked goods moist. Since the heat source is on the bottom, you won't get a lot of browning on top, which might or might not make a difference. As far as a slow cooker, it does the job well and cleans up easily since it's got a nonstick finish. The oblong shape means it accommodates things like roasts or whole chickens better than a round cooker, and also gives you more surface area for browning foods. This gadget has been living on my counter since I got it, and has gotten a lot of use. So far, I've been happy with all the results. For sure, this isn't going to replace my oven for things like baking cookies or the Thanksgiving turkey, but it's a heck of a lot more versatile than my old slow cooker that had dire warnings about not cooking anything without sufficient liquid.